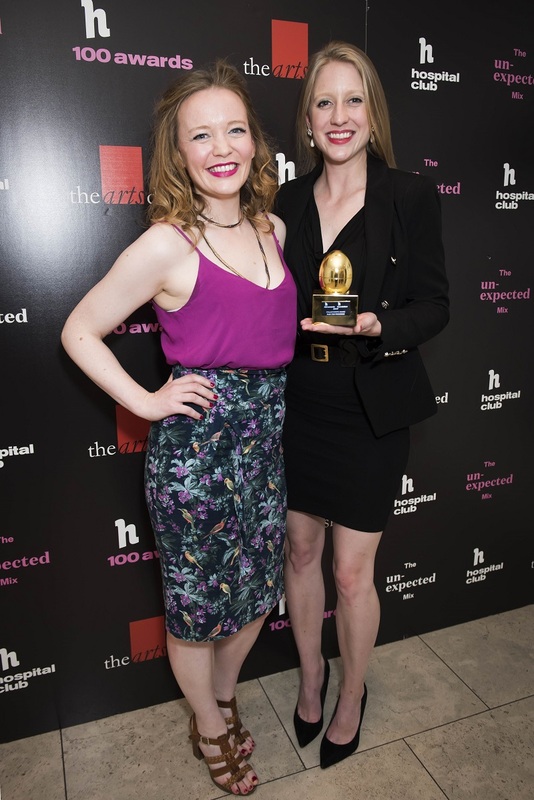 At a festive ceremony on Tuesday night at The Hospital Club in central London, the winners were announced for this year's h.Club 100 Awards. The distinguished broacaster John Simpson (pictured below) gave an impassioned keynote address about the value of the UK's creative industries which concluded with amusing advice on the wisdom of eating kedgeree. 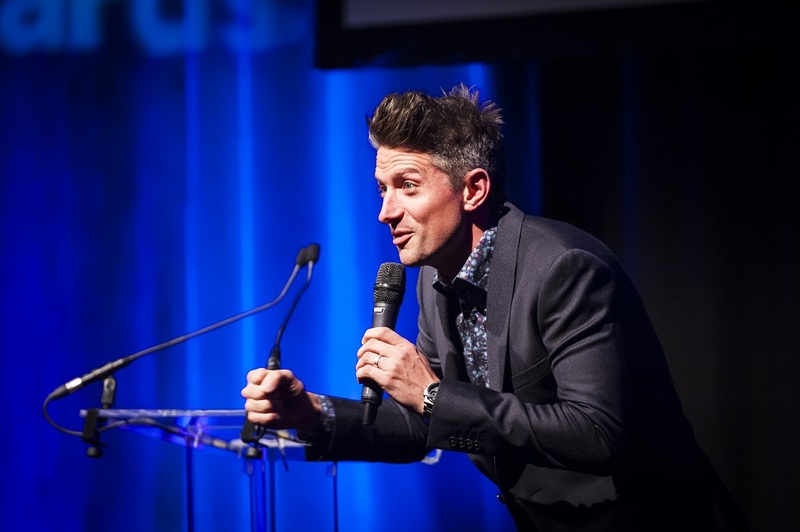 The comedian Stuart Goldsmith compered with wit, flair and sangfroid. 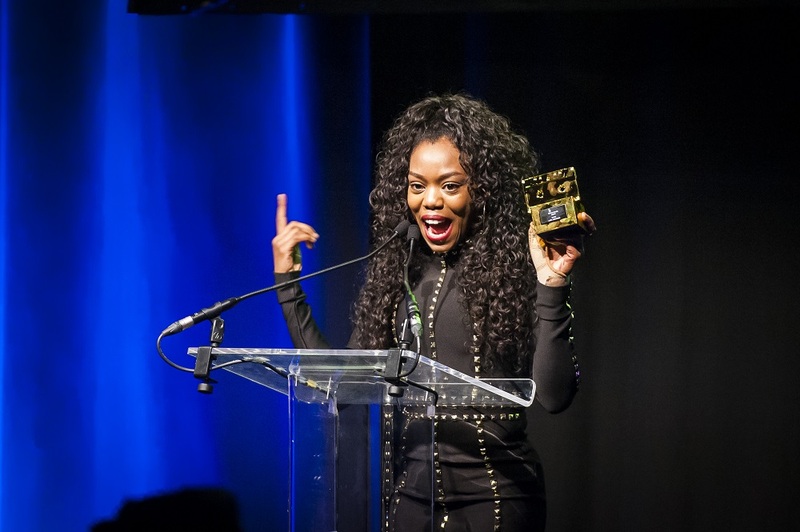 The undoubted star of the night was Lady Leshurr, who accepted her award in the Music category - presented to her by theartsdesk's Thomas H. Green - with a speech that was both hilarious and heartfelt. 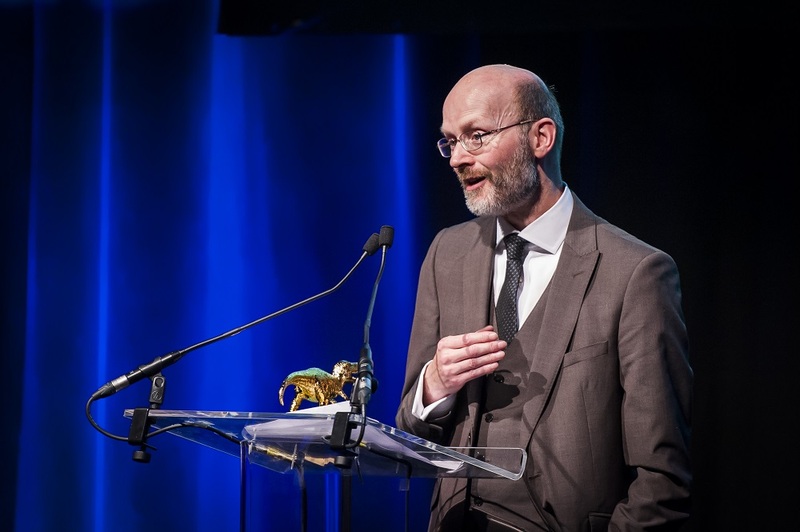 We at theartsdesk supplied judges for all but two of the 10 main categories. Most excitingly for us, the inaugural winner of our Young Reviewer of the Year Award was announced. 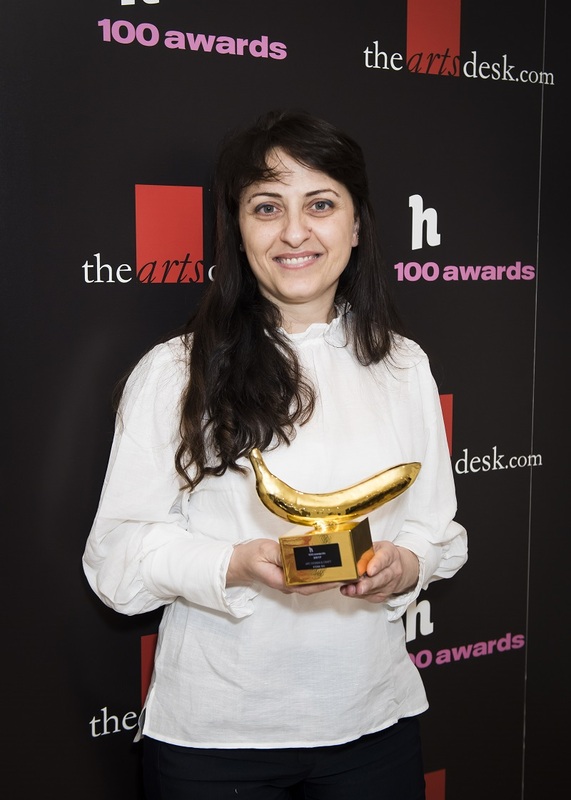 Of the four excellent finalists on the shortlist, our judges picked Katherine Waters's outstanding review of Marc Quinn: Drawn from Life at the Sir John Soane's Museum. 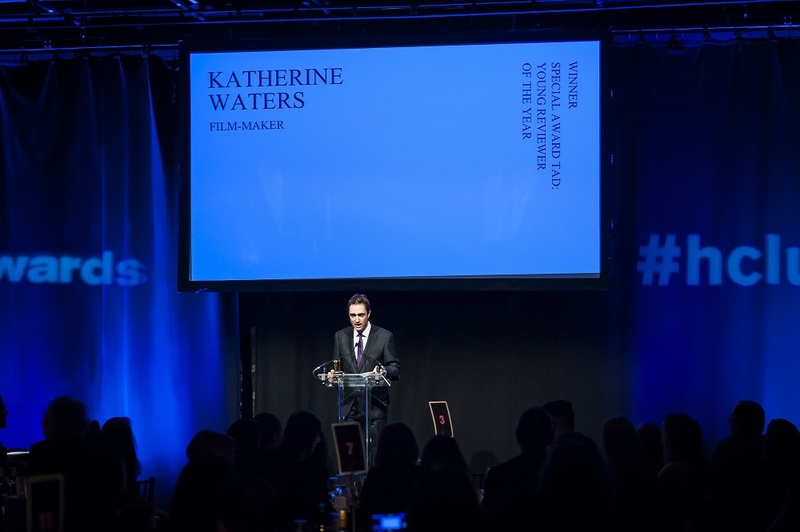 Katherine is producing a film in Cornwall and was unable to attend, so our publisher Kevin Madden presented her with the award on a film shown at the ceremony. All the winners are listed below, with a brief introduction to their work and links to their websites and social media accounts. Congratulation to all! 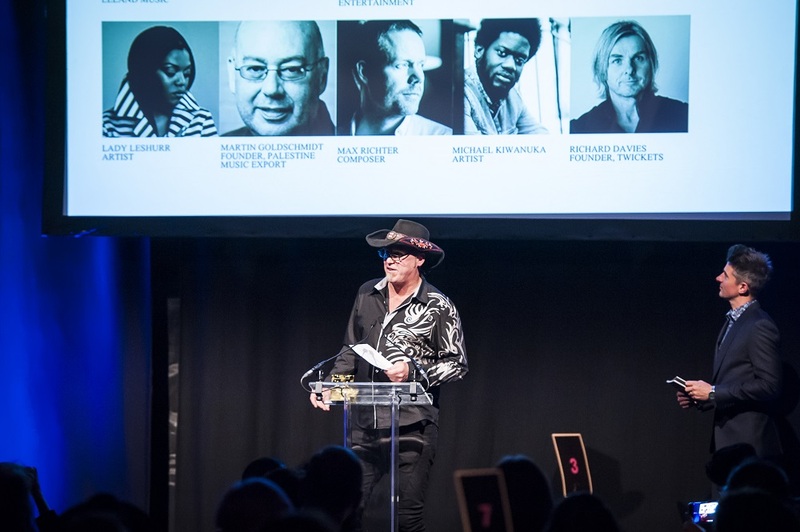 Creative Equals is the kite-mark of equality in the creative industries working directly with business, recruiters and industry organisations to drive lasting change and gender parity in the creative industries. 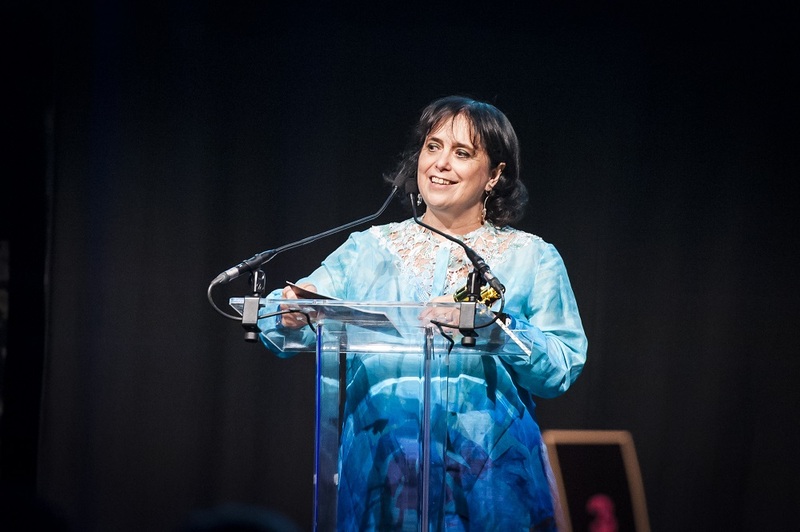 After her hugely successful Future Leaders Conference in March, Ali Hanan championed the #ShareTheSpotlight campaign in Cannes, asking agencies to pledge to a 50:50 speaker line-up for 2018. She is also raising money for two scholarships for women facing social mobility challenges. Esna Su was born in the south of Turkey. Her “The Refugees and the Burden” explores the displacement of Syrian refugees following the war, and the concept of memory and belonging in a fractured world. Using traditional Syrian techniques, the collection reflects the need for protection and isolation of refugees in their new homes and the belongings left behind. The resulting pieces are a fitting tribute to the forgotten people at the centre of the crisis. Asim Chaudhry is the co-creator, co-writer and star of BBC Three hit comedy series, People Just Do Nothing. 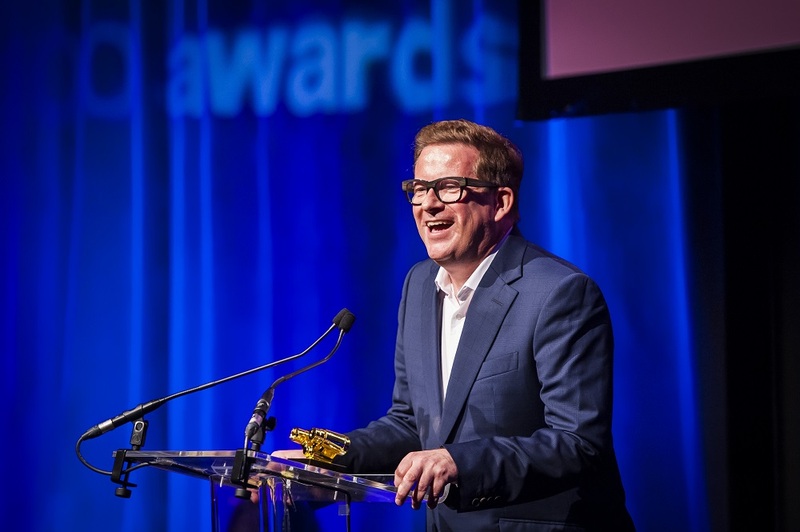 The series won both BAFTA and RTS awards for best scripted comedy in 2017. Chaudhry himself won the RTS award for best comedy performance for his character Chabuddy G. He launched the original series on YouTube in 2010. It moved to BBC iPlayer in 2013 and BBC Three in 2015. Dina Torkia shows that Muslim women can adhere to modest Islamic standards while still looking cool. With a thriving blog and her Instagram following hitting the million mark, Torkia has also designed a range of scarves with Liberty and presented a show on BBC Three. She now makes lifestyle videos speaking specifically to fellow mothers about subjects such as post-natal depression and how to dress as a young mother. Babak is a BAFTA-nominated, award-winning filmmaker based in London. His feature film debut Under the Shadow (pictured) was premiered at Sundance Film Festival in 2016. Under the Shadow evokes his fear-ridden childhood in Iran and is being hailed as a horror classic. He also worked for MTV UK and Ireland as one of the directors of MTV live sessions and has directed live performances for renowned artists such as Lady Gaga, Florence + the Machine, Pixie Lott and Tinie Tempah. It is Cat Channon’s charity work, particularly for GamesAid, that has been truly admirable. Just a few of her achievements include starting the gamescom-to-Brighton bike ride; swimming to Africa (twice); running communications workshops for smaller charities and advising/executing the organisation’s ongoing PR campaign. Channon is GamesAid’s single biggest fundraiser. She also finds time to mentor young programmers, as part of the Warner Bros Creative Talent programme. Melesha O’Garro, known professionally as Lady Leshurr, is an English rapper, singer and producer. She is best known for her Queen’s Speech series of freestyles, the fourth of which went viral in 2016. Having won a Mobo last year for Best Female Act, she is putting Birmingham on the map with artistic integrity and spirit. 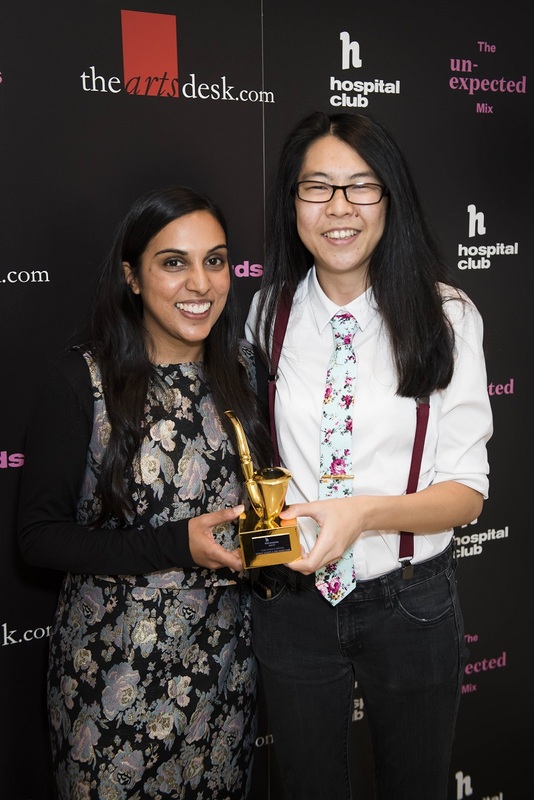 Sarah Shaffi and Wei Ming Kam set up the BAME in Publishing network in response to the endless diversity debates and panels in the last few years. The network hosts monthly sessions to give BAME people in publishing space to meet, make connections, find mentors, and share advice. The group also intends to open sessions up every three months to people from BAME backgrounds wanting to break into the publishing industry. Saima Chowdhury is a Muslim vlogger and fashion photographer from Birmingham, authentically articulating a style that illustrates how to reconcile her religious faith with her identity as a fashion-loving young woman. Chowdhury represents an important new breed of peer-to-peer everywoman, pioneering the modest fashion movement at a time when Muslim women’s clothing is a topic of intense global debate. Ashley Shaw was Dancing Times magazine’s dancer of the month in February 2016 and subsequently landed her breakthrough as Vicky Page in Matthew Bourne’s original production of The Red Shoes (pictured by Johan Persson), receiving rave reviews. She has also performed the lead roles of Kim Boggs in Edward Scissorhands (2014/15) and Lana in The Car Man (2015). Film credits include Matthew Bourne’s Christmas and Sleeping Beauty. A filmmaker from London, Katherine’s day job sees her looking through the camera at the composers, artists and theatre directors who are her subjects. It was the same precision and clarity of vision, the same ability to draw attention to telling details and make them speak, that theartsdesk’s judges found so exciting in her review of Mark Quinn’s Drawn From Life exhibition at the Sir John Soane’s Museum. Together with her playful enjoyment of language, it made for an exhilarating, joyous read – not just a critique and analysis, but a creative end in its own right. Play for Progress (PFP) is a not-for-profit organisation that delivers therapeutic and educational music programmes for children who are victims of conflict. They run the Make Some Noise programme in partnership with the National Orchestra for All and the Refugee Council UK's Children's Section in Croydon for the hundreds of unaccompanied minor refugeees who have reached the UK.